It’s usually the middle of August when I first feel it. It seems that every year it happens right around that time and generally sets up the same. This year it happened early on August 20th at the beginning of my morning walk with my better half. August 20th was the first morning I awoke to a temperature in the upper 50s. I threw on my favorite Cabela’s sweatshirt that my young friend, Drew Clark, gave me – because he’s 3 feet taller than me and outgrew it, then stepped outside and was greeted by the crisp, distinct feel and smell that only the first day in the 50s can bring. As we began our walk, I looked back at the house and noticed the gentle wisp of smoke arising from the chimney. I smiled. We had just passed through a gate in our yard when it all came together; the sensory smorgasbord of smells, sounds and “feels” that give me that warm, fuzzy, “I’m on top of the world and no one can knock me off” kind of feeling. I heard the distant but distinct sound of the Canadian geese emanating from nearby Menominee Park, as they were organizing for their morning flight to the feeding grounds to fatten up for the long flight south. It had rained the day before and that moisture, along with the morning dew, combined to emit a distinct effervescent smell of the decaying cottonwood leaves lying on the ground from the previous fall. And then I saw the first black walnut that had either fallen on its own, or was knocked off by an impatient eastern gray squirrel! I picked it up, lanced it with my fingernail, brought it to my nose and took a deep whiff. Ah…I love that smell. The combination of the smell of the black walnut and the decaying cottonwood leaves, the sight of the gentle wisps of smoke rising from the chimney, the chill in the air, and the sound of the geese, spontaneously transported me to the autumn Wisconsin woods and the excitement of the coming deer hunt. In Harry Potter’s world, wizards could “apparate” whenever they wanted. That is, they could “teleport” themselves from one location to another. Unfortunately, we can’t physically do that, but that morning I was able to mentally apparate to the land I hunt – a magical place, void of the rigors and anxieties of daily life in the fast lane. For a few moments I found myself in a state of peace. Peace is an amazingly wonderful and beautiful thing – perhaps that’s why we wish and hope it for one another. It’s too bad we don’t get a chance to experience it more but I guess that’s what heaven is for. Perhaps it’s the reason peace is mentioned in the Bible more than 400 times. We can certainly look toward the Word of God and our own individual religions to seek peace. Personally, it’s where I start. Saul: I can’t see! What the heck? God: Guess what pal? You now work for me. God: Yep. Oh…and your name is not Saul anymore. You will now go by Paul. However it happened, Paul did become God’s newest Apostle and he went on to spread the good news to people like the Romans, Corinthians, Thessalonians, Phillipians and several other “ans.” In his orations and letters, he always started by asking for grace and peace for those he was addressing. Peace on the other hand, is defined, at least by Wikipedia, as “having the knowledge and understanding to keep oneself strong in the face of discord or stress.” Being “at peace” is considered by many to be the opposite of being stressed or anxious and is generally associated with bliss and happiness. 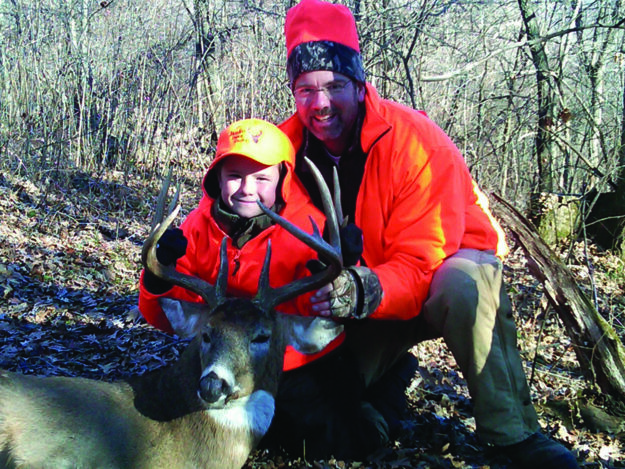 We get grace whether we want it or not – even if we do things in deer camp we’re not proud of. We don’t get peace – we have to find it ourselves. We have to find the things that keep us “strong in the face of discord or stress.” We have to find the things that make us blissful and happy. Then we need to practice those things. 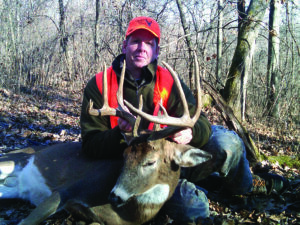 I assume that if you’re reading this column, deer hunting in Wisconsin, and other autumn recreational activities fall into the category of things that give you that warm, fuzzy, “I’m on top of the world and no one can knock me off” kind of feeling. Soon, over 600,000 of you will enter the fields and forests in search of the elusive whitetail deer. Not everyone will fill their tag but I’d bet a month’s salary that all 600,000 will, at some point during the hunt, catch at least a brief glimpse of peace. Unfortunately, I don’t think all 600,000 will be aware enough to notice and feel it. 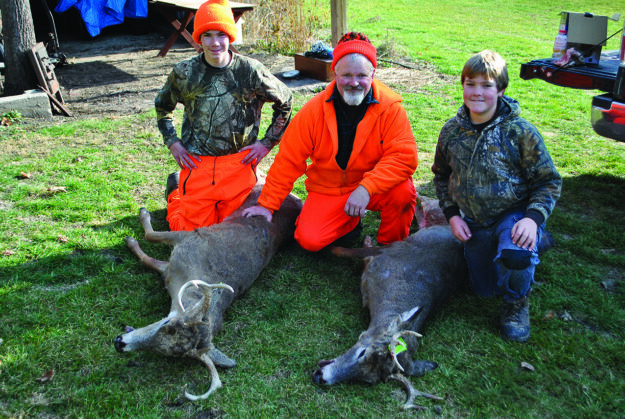 Although I am pretty much just a bowhunter, I will accompany my daughters on the 9-day gun deer hunt. Sure, I hope they harvest Boone and Crocket bucks but I’d settle for yearling does. Mostly, I hope they catch a glimpse of the most elusive prey called peace. I hope they embrace and revel in it, no matter how fleeting, and I hope they file it away forever in their memory banks. I also hope you fill your tag with a wall-hanger. Mostly, I hope that you catch the most elusive of prey. I hope you harvest peace…and take it home with you.